Florida Keys Islamorada Fishing, The Ultimate Fishing Vacation! Islamorada Fishing, Florida Keys Sport Fishing! Islamorada, Florida Keys, is said by many to be named “The Sport Fishing Capital of The World“. The beautiful tropical waters of the gulf stream flow just a few miles from her warm sandy shores. Scuba diving, snorkeling and sport fishing on the coral reefs from 5-90 feet deep exist all along the Florida Keys island chain and the shallow waters of the Gulf of Mexico backcountry are but a short boat ride away. Ready to wet your fishing line? In Islamorada it’s not just possible, it’s probable that you’ll hook up with a top notch sport fish. The famous Blues Marlin are best caught during April through March. Delectable Cobia are popular January through March. Dolphin a.k.a. Mahi-mahi come in close April through July. Grouper of all kinds can be had November through March. The exciting sport fish Kingfish will put up a good fight September through March. Beautiful Sailfish are plentiful in the Atlantic November through February. Tasty but tricky to catch Snapper are popular all year long and are great for families with children because they can be had even form the dock. This also includes Yellowtail which is best April through June. The legendary Tarpon run May through July and are called the “silver king”. Great tasting Tuna are best caught December through February. The fighting fish Wahoo know for it’s tremendous acceleration is available April through May as well as October through December. All the exciting fish above are in the area all year long and can be a surprise catch for an angler anytime! It’s easy to see where Islamorada got it’s famous sport fishing name. Anglers from throughout the world come to sample the fabulous Islamorada sport fishing. There are hundreds of Charter Boats and Backcountry Guides in the Florida Keys and most are located right in Islamorada. There are many offshore charter boats as well as backcountry flats guides to choose from. A good place to start is by contacting the Islamorada Chamber of Commerce. Islamoara Fishing Tournaments are equally popular. The more famous ones are The Islamorada Swordfish Tournament, The Islamorada Sailfish Tournament, The Captains take ‘the Cup” and $25,000, The $25,000 Winner-Take All Islamorada Fishing Club Sailfish Tournament, The Take Stock in Children Backcountry Challenge and The George Bush Cheeca Lodge Bonefish Tournament, just to name a few. So be sure to bring your luck! 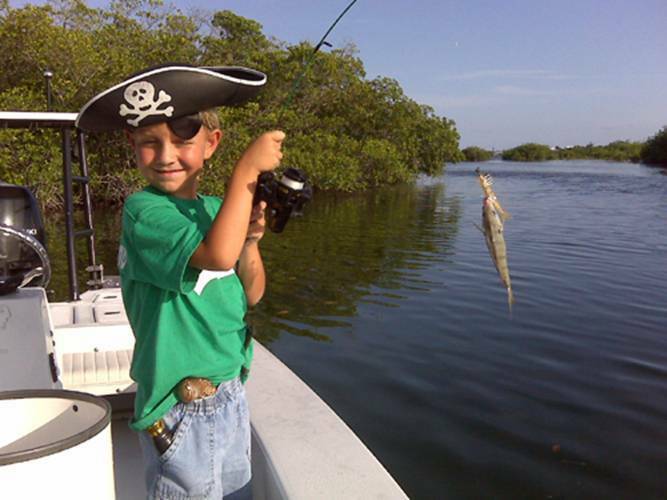 In addition to the dozens of Islamorada Bait & Tackle Shops, Boat Rentals, Marinas and Public Boat Ramps that all cater to fishing, Islamorada boasts an equal amount of fine hotels, resorts and restaurants for the discriminating angler. Many cater to families with children! There are also many high quality things to do and see in Islamorada like the famous Theater of The Sea and The History of Diving Museum. In Islamorada, you’re either on the water, in the water or under the water…..enjoy! Craig Grant Hollenback is Director of Photography, Vice President and co-founder of The Conch Republic Media Group in Key West, Florida. The company specializes in high definition travel video production, website design, hosting & site maintenance, digital photography and internet marketing. Informative, entertaining video episodes, provide the latest tourist information about The Florida Keys and Key West. Visitwww.conchtv.com today.